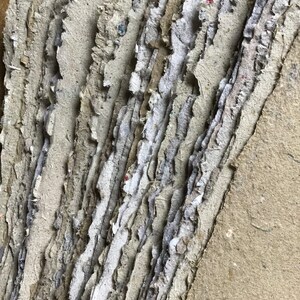 This listing is for a recycled denim handmade paper. I have a limited number of these sheets, and can make each sheet into several options for you. 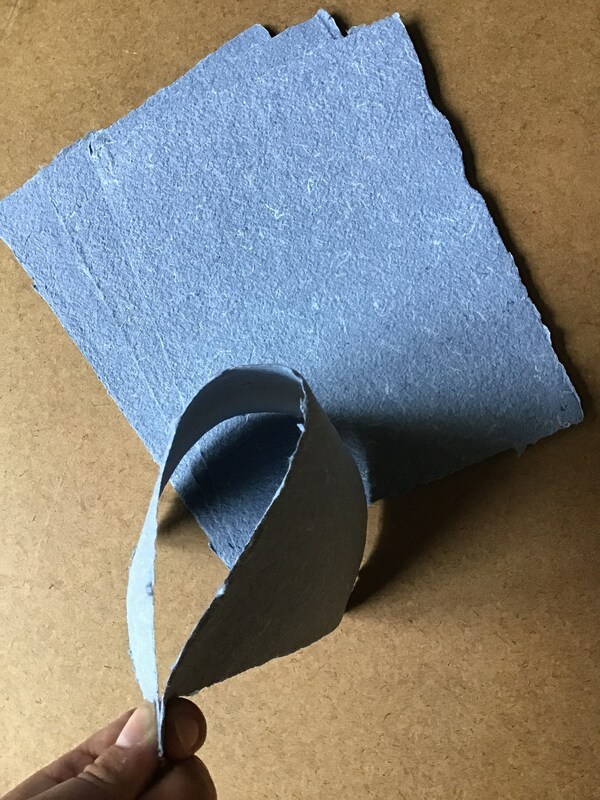 This paper is made from 100% cotton denim scraps cut from worn out blue jeans. 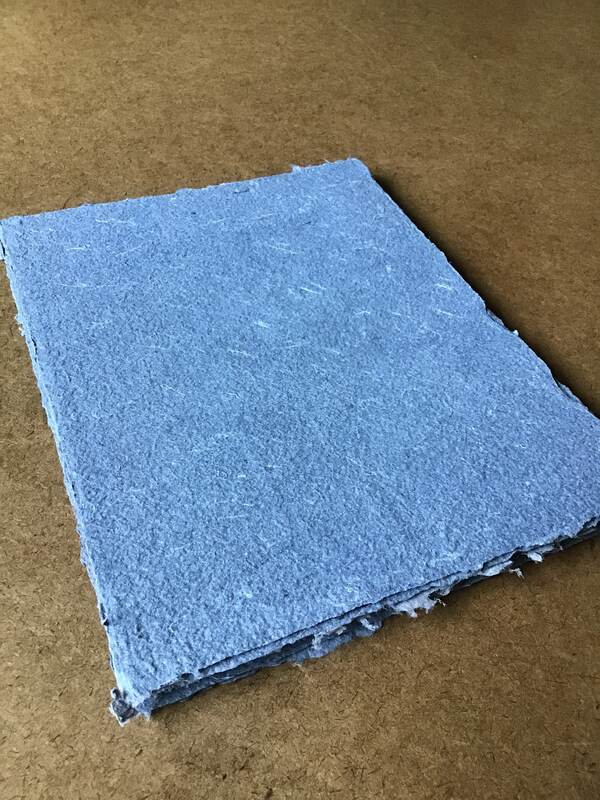 I strive to waste as little as possible, so when a pair of blue jeans wears out or gets a hole in them, I wash them thoroughly, then work through the cloth making as many items as possible. 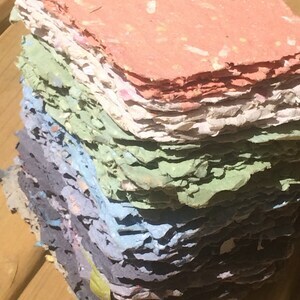 I use large pieces for book covers, smaller pieces for smaller books and spines, and as the scraps get too small for bookbinding, I cut them to bits and process them into handmade paper. 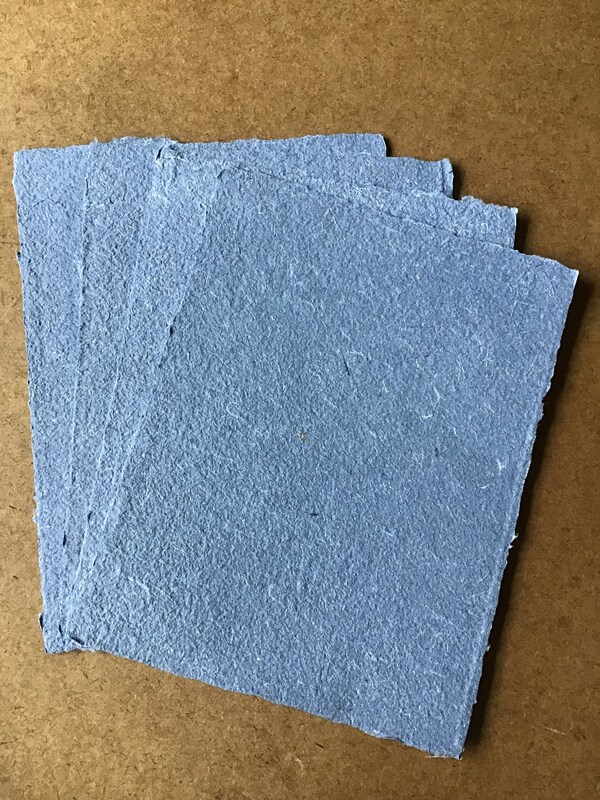 This paper is very strong, as it is made from 100% cotton. 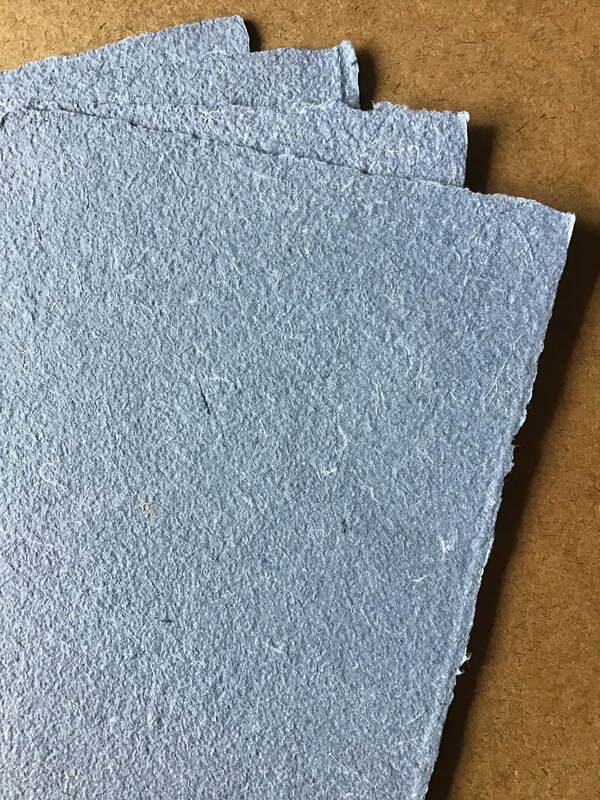 This listing is for one sheet of denim handmade paper, available in several sizes. If you want more than one sheet, please select multiple quantities from the drop down menu. This paper is slightly heavier than construction paper. 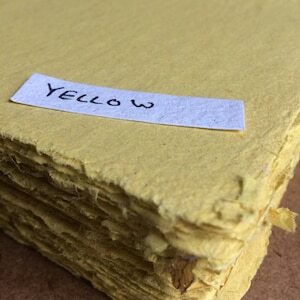 If you have questions about whether or not this paper will work for your project, I recommend trying a sample first. 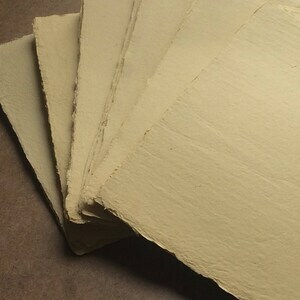 Remember that each sheet is made by hand, and thus there will be some variation in weight from sheet to sheet. Good selections and good quality. Will order from again. Second time I ordered this shops products. They even sent me the new water color paper for sampling. 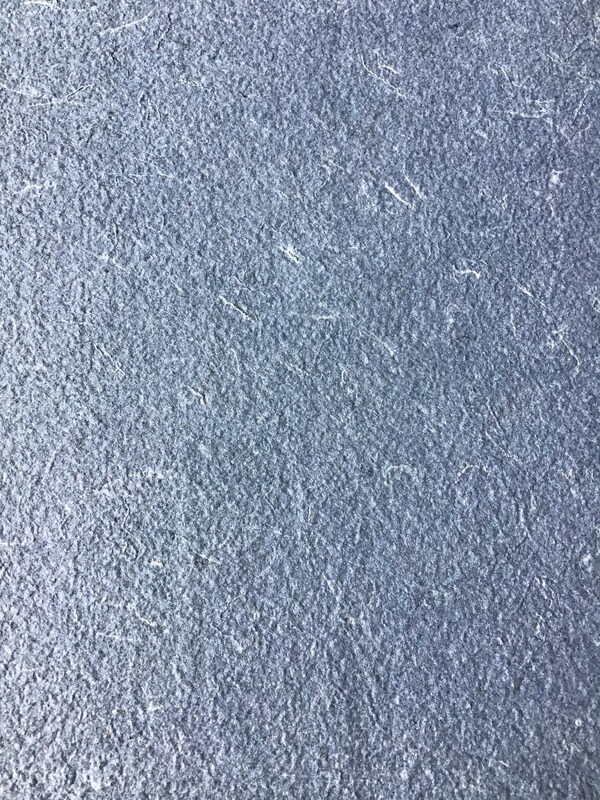 I used charcoal on this recycled denim and it's more suitable than water based paints. I love the fibrous detail. Looking forward to ordering more from this shop. 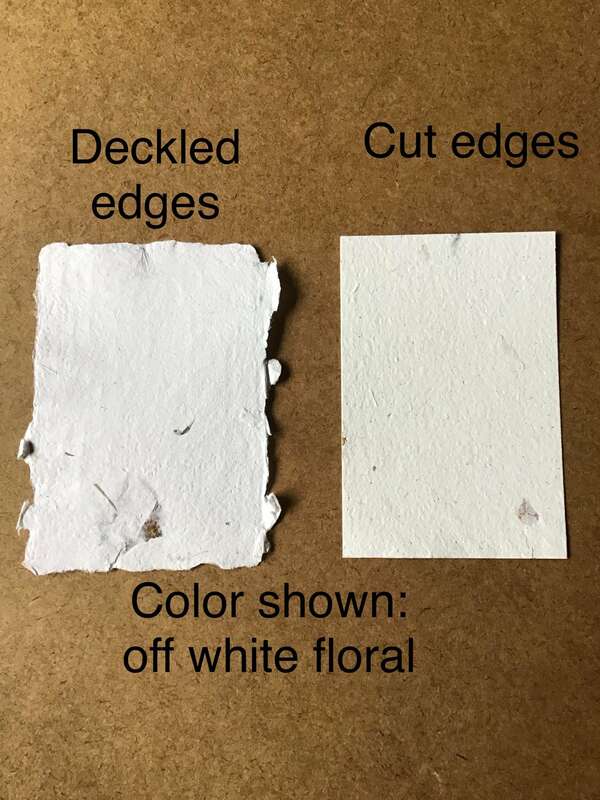 I also use the paper for marbling.